Rivers of Light is the nighttime show at Animal Kingdom, and it can be a bit tricky to figure out. 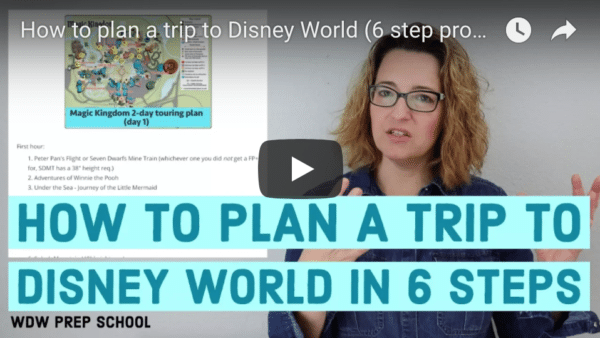 You have a few options to see it, and you'll want to know the pros and cons of each before your trip. Here's info on each method. With the Rivers of Light Dining Package, you can dine at either Tusker House or Tiffins, and then you're given a voucher to use to check-in later in the viewing area (you can see where that's located on the graphic above). You have to book this is a dining package and not a regular dining reservation. You can book a FastPass+ for the show (if there are 2 shows, FP+ will be available for both), and then show up to the FP+ area to sit in that section. You get in line near DinoLand, and you'll be allowed to sit in the standby section as space is available. If there are 2 shows scheduled in the same night, the second show should be much easier to get into using the standby line. If you're on the Disney Dining Plan, you should definitely consider booking a Rivers of Light Dining Package because that will be the easiest to do and a good use of a credit (or credits). If you're not on the Disney Dining Plan, consider a package because the food is good at both locations, but if you aren't interested in paying for it, either use a FP+ or skip seeing it. It's admittedly a lot to go through for a 15-minute show. 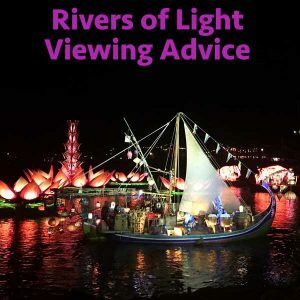 Any other Rivers of Light questions? Feel free to leave those in the comments. Can you take food into the seating area? Yes. In general, you can take food anywhere that has outdoor seating. Can I book a meal to get tickets for the show on a quick service plan? ok is it running on jan 6 2019 schedule not out yet.. The show is at 6:30 pm for 15 minutes, and I have a 6:50 reservation for the 8 of us at Tuskers. I am willing to use the FastPass+ but I am not sure if we can stand anywhere to see the show and also make the reservation? That’s cutting it too close. I would try to adjust your dining reservation to 7:15 or later if you can. Would love to hear more about the show. What it is and your review of it. If Disney allows me to book the RoL dining package, and it says for “1st show”, should I assume there are two shows? If so, what time would they be if the anticipated crowd calendar shows a 9:15 show only? Is an extra show added after the 9:15 show or before? And can you please clarify my confusion…you said “reservations can often be at weird times”…what does this mean? I can’t choose any time? The times I entered, both an 8 am and a 7 pm, were accepted. And I would expect that the site is only showing me times that can be chosen. It’s only been two years since I last visited WDW, and I’m feeling so out of sorts with planning! So many changes… thanks. You recommend showing up 60-90 minutes before the FP time? Just info about standby viewing. It is not an overflow, or as space is available. There are usually 3-4 big sections plus standing dedicated to Standby. For the first show lining up an hour before show start is your best bet for a really good seat. People should try and get there though at least a half hour before. So, just to be clear, if we are staying on site, don’t book our dining yet even though the 180 day window opens tomorrow, because the packages won’t be available until later? Or can you add the package later? We definitely want to eat at Tusker House and want to take advantage of the Rivers of Light package, but I’m confused about whether I should book the dining reservation tomorrow or wait? Just an FYI – if you choose to do the dining package and are paying out of pocket, do Tusker House near the end of the breakfast hours. We did that last year (not to save money, but because we didn’t know at the time). Tusker House has a window where lunch and breakfast are both served at the same time. So if you book late enough into the breakfast, you can get lunch for the cost of a breakfast. 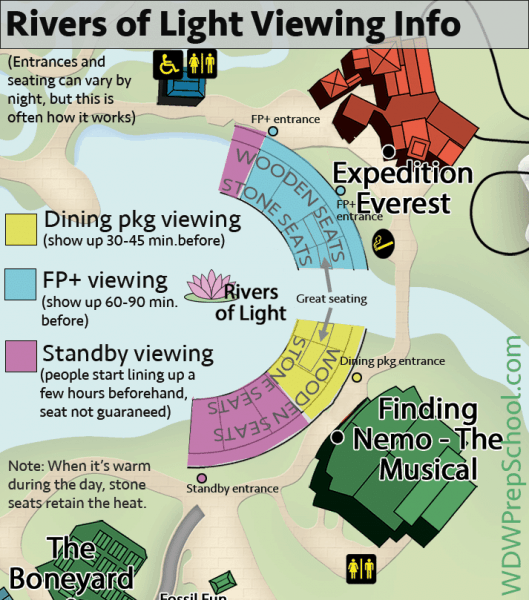 How far in advance should I arrive for a Rivers of Light show if I have the dining package? So we are going August 15th. We do not qualify for EMH as we are not staying onsite. I just realized my FP+ for River of Light is at 9:50 for the 10:30 show. But the park closes to us at 9:30 right? Did I goof and need to cancel this FP+ or can we still use it? Park is open until 10:00 that day. You’ll be fine w/your FP+. Thank you! I didn’t get the fast passes I wanted for that day so I’m glad I didn’t screw that one up! Any idea why Disney hasn’t released the dining packages for October yet or when they might do so? We’re well beyond the 180 day window for booking dining. You need to check the schedule for your travel dates to see when it will take place during your trip. Do you think this dining package will be available in December? Yes, but they haven’t released them yet. Just keep checking and it should hopefully appear within the next few weeks. Thank you Shannon! I can ALWAYS rely on your site to have answers to my questions! When will they open up the ROL dining packages for spring break 2018?